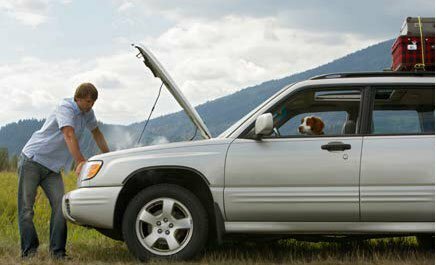 Your best bet is to start with your battery—a dead battery happens to be the most common reason a car won’t start. You can check the strength of your battery with a battery tester or you can try jump-starting your car. If your car turns on, you simply need a new battery. If it still won’t turn on, it’s time to dive a little deeper. It’s possible the wiring to or from your starter is loose. Check its connections and see if that gets you running again. Even if your battery has a charge, it’s cable connections could be shot. If you see corrosion, you may need to replace your cables. A wet distributor cap could be your issue. Use your car’s manual to find its location. Place the cap upside down, spray it with carburetor cleaner, and shake it gently. When every crevice is covered, dry it with a clean, lint-free rag. Finally, reattach the cap and try starting it again. While some issues may be easier to resolve, others can be downright challenging. If you spot any of these signs, it’s recommended you tow your vehicle to your local Pep Boys. There may be an issue with your spark plugs. Get under the hood and locate your spark plugs. 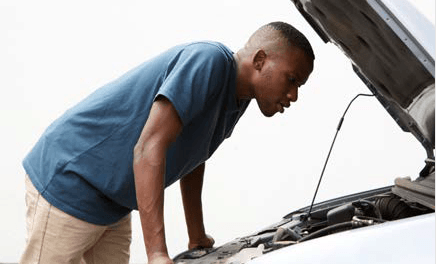 If everything seems fine, there could be a problem with the fuel supply to your engine. Check the accelerator pump, spark plugs, the distributor, and the timing. It’s possible there’s a problem with any or all of these components. This could mean a variety of things, including issues with your timing belt or coolant system. Consider doing a compression check on your engine cylinders as well. For any advanced issues we recommended contacting your local Pep Boys immediately, where one of our trained experts can diagnose the issue.